Powerful boats, island hopping tours & unforgettable memories! A trip with OTL will leave you with the experience of a lifetime. Tailor your excursions to hit all the island destinations you’ve dreamed of or just spend the day lounging in the water. Whatever floats your boat! 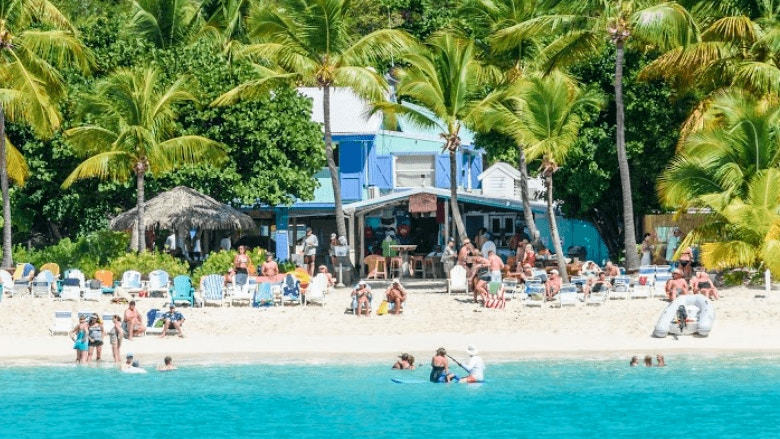 One of the most popular bars in the Caribbean. Famous for The Original Painkiller – originated and perfected at Sandcastle’s Soggy Dollar Bar in the 1970’s, this smooth, full-flavored rum cocktail has become the essence of Caribbean imbibing. 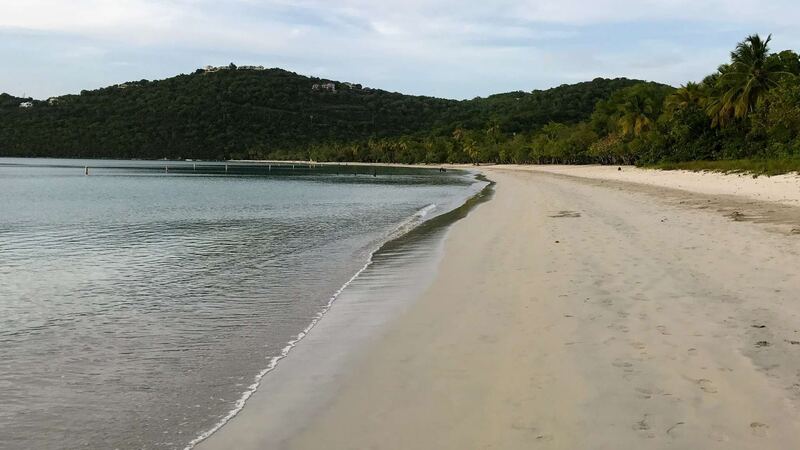 Nearly three-quarters of a mile of pristine white sand beach, coconut mangroves, and guest facilities make Magens Bay Beach one of the most popular on St. Thomas for tourists and locals alike! Secret Harbor is a little off the beaten path on the southeast end of St. Thomas on Nazareth Bay, and that’s a good thing. “My first experience traveling to the BVI was only made better due to the amazing quality and service that Over The Line Charters was able to provide. Our group had such an amazing day visiting beautiful places as well as boating in a comfortable, fun, and exciting environment. This was the highlight of the trip, hands down!” – Annie F.
“This is the second time we have chartered with this company. We had Travis the first year and had such a great time! He knew exactly where we needed to go. On our next trip to St. John, we chartered two days! One just wasn’t enough! This is a must if you’re going to the BVI’s!” – Jennifer M.
“Third time this year we went out with Over The Line Charters. I wouldn’t consider using any other company. We have been to many of the BVI’s with Over The Line and each island is just more beautiful then the other.” – Amie B. Are you ready to schedule your adventure? Just contact us today and one of our professionals will work with you to plan the perfect day for your group!